The only sport I really care about is ice hockey. It must have something to do with my late maternal grandfather, Chuck Workman; a Canadian, a WWII vet, and a hockey player. I was born in Toledo, Ohio, and for some reason I never cared for the Detroit Red Wings. My dad used to race stock cars their, where he had a lot of fun. He and I are very close, so you would think I would be a Red Wings fan, but no, I’m a Blackhawks fan. Maybe it’s the jersey. Tonight marks only their fourth Stanley Cup Championship, and their first since 1961. My sister, Julie, bought me a jersey about 20 years ago. I’ve loved wearing it, and take pride when I do. When the San Jose Sharks came to the Bay Area, I got very excited. Having lived in the Bay Area since late 1982, I was long waiting an NHL team. Today, it’s safe to say I’m a fan of both teams. It was hard to see the Sharks go down to the Hawks, in four games, in the Western Conference Finals this year. 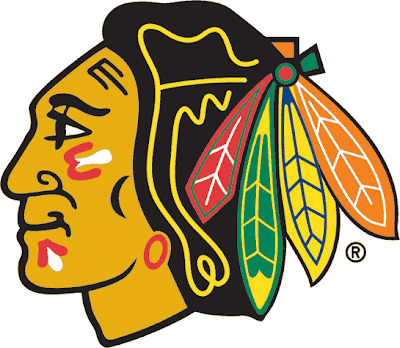 But if they were to go down to any team, it had to be the Blackhawks. Congratulations Chicago Blackhawks on a great season, and a great second season (any hocky fan knows that the playoffs (the “second season”) is when the real hockey season begins. I’ll savior this moment, and hope it’s not another 49 years before they win it again. No Comments on Blackhawks Win!!! !